Jackson Avery, formerly a surgical resident at Mercy West Medical Center, finds himself in an unfamiliar (and unfriendly at times) new environment when Mercy West is merged with Seattle Grace Hospital. Jackson Avery is known to showcase numerous different jackets throughout the course of Grey’s Anatomy. Most often they are darker shades of gray, black or blue. ​He frequently wears hoodies as well, but it is worth mentioning that he prefers the pullover variety as he is seldom (if ever) seen wearing a zip up hoodie. ​This gray hoodie from H2H is a great match to the hoodie worn by Dr. Jackson Avery. Here is a gray cardigan sweater that is quite similar to the one worn by Jackson Avery on Grey’s Anatomy. ​This navy colored hooded sweatshirt﻿ by Gildan is very much alike the one seen upon the body of Dr. Avery. Jackson’s button down dress shirts are likely the most professional looking items of clothing within his possession. He is seen wearing them more and more frequently as he works his way up the ladder, so-to-speak, at Grey Sloan Memorial Hospital. ​Which, by the way, wouldn’t exist if it weren’t for Jackson’s mother, Catherine, investing in the hospital (which is once again in financial crisis). She agrees to fund the hospital through The Harper-Avery Foundation, on the condition that Dr. Avery agrees to accept the role of Chairman - which he does. The jeans of Jackson Avery aren’t necessarily always blue. While he is noted to wear several styles and colors of jeans including blue, black and gray. ​Very much like the rest of his wardrobe, most of Jackson’s jeans are a darker shade of gray or black. And if blue, they are often times a dark wash.
Avery’s denim isn’t exactly the focal point of his style, but they can be paired with just about any of his shirts or jackets to complete an accurate Jackson Avery cosplay. Dr. Avery’s footwear style has got a little more pizzazz than your average Doctor. He has been noted to wear athletic shoes - often times big name brand or designer. ​His shoes are often times the same color scheme as the rest of his wardrobe, utilizing grays and blacks, but he has been noted to wear more over the top colors and styles when not on duty. ​While these burgundy basketball shoes by Nike aren’t quite an exact match, they are incredibly similar to the ones worn by Dr. Avery. Jackson is noted to accessorize with several little extras, but who needs accessories with the most hypnotizing green eyes known to man and God-like sculpted abs. ​It’s no wonder just how Dr. Avery managed to swoon the love of his life and mother of his child, Dr. April Kepner. This Omron Sprague stethoscope is a perfect match to the ones used by the medical staff of Grey Sloan Memorial Hospital. ​These Dickies scrubs in either navy blue or turquoise are a perfect match to the scrubs worn by Dr. Avery while on duty as a surgeon. 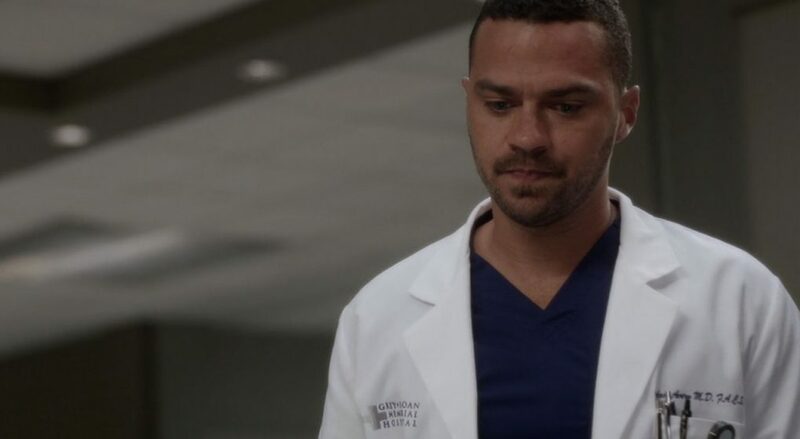 In conclusion, I have found that Dr. Avery’s style is sharp, well maintained, and most of all, easy to become accustomed to.​ Most likely because he wears so many casual jackets and jeans, Jackson Avery’s outfit isn’t much different than something your or I might wear.